The overall objective of this project is to enable the SI traceable monitoring of radon (222Rn) at low radon activity concentrations including calibration and radon mapping. These objectives include the investigation of the influence of thoron (220Rn), the harmonisation of indoor and soil exhalation radon measurements and the development of new methodologies for the identification and characterisation of radon priority areas in Europe. 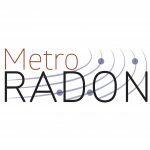 The JRP contributes to the creation of a coordinated metrological infrastructure for radon monitoring in Europe. 1. To develop novel procedures for the traceable calibration of radon (222Rn) measurement instruments at low activity concentrations (100 Bq/m3 to 300 Bq/m3) with relative uncertainties ≤ 5 % (k = 1). As part of this, to develop new radioactive reference sources with stable and known radon emanation rates (WP1). 2. To investigate and to reduce the influence of thoron (220Rn) and its progeny on radon end-user measurements and radon calibrations (WP2). 3. To compare existing radon measurement procedures in different European countries and from the results optimise the consistency of indoor radon measurements and soil radon exhalation rate measurements across Europe (WP3). 4. To analyse and develop methodologies for the identification of radon priority areas (i.e. areas with high radon concentrations in soil, as defined in the EU-BSS) and investigate the relationship between soil radon exhalation rates and indoor radon concentrations (WP4). 5. To validate traceability of European radon calibration facilities, and publish guidelines and recommendations on metrologically sound calibration and measurement procedures (WP5).